Winter Ski & Board 2013/14 now on sale! We are pleased to announce the release of our new Winter 2013/14 1st Edition brochure packed with a choice of over 50 hotels and apartments in the countries of Bulgaria, Slovenia and Romania. The brochure includes three NEW properties in the resort of Pamporovo, Bulgaria and our new flight from Glasgow to Sofia as well as many other fantastic deals and savings. Prices from £244 per person. Special Early Booking Discounts of Up to £147 per couple. 5% Loyalty Bonus for clients who have travelled with us the past 2 seasons. 50% OFF Ski or Board Equipment Carriage. FREE Ski or Board Storage in Bansko, Bulgaria. FREE Night Skiing in Pamporovo when staying at the Hotel Perelik. 15% Discount on Ski/Snowboard Services and Packs in Pamporovo. 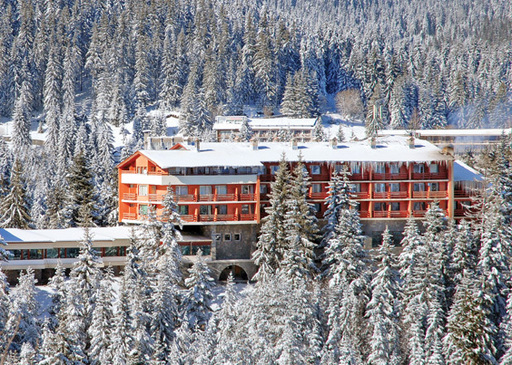 50% OFF Ski & Board Packs in Borovets when staying at the Hotel Rila. 50% OFF Full Ski & Board Packs in Bansko when staying at the Hotel Strazhite, Pirin, Bansko & Mura. FREE Luggage allowance of 20kg (10kg for infants) on all Bulgaria Charter Flights. Kids Ski FREE – Amazing Range of Family & Child Discounts. 3* Hotel Dafovska, Half Board in Pamporovo. 3* Hotel Prespa, Half Board in Pamporovo. 4* Apartments Grand Monastery, Self Catering in Pamporovo. Glasgow to Sofia on Sundays from 22 Dec 2013 to 30 March 2014. For more information on our range of Winter 2013/14 ski & board holidays, request our brochure, visit our website or call our friendly reservations team on 0845 130 1114.